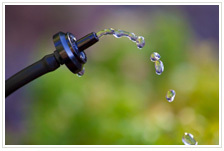 For over 18 years, All City Sprinklers has provided high-quality residential lawn & garden irrigation, installation and sprinkler repair services. Our service areas include the following cities: Arvada. Boulder. Berthed. Broomfield. Brighton. Commerce City. Denver. Erie. Frederick. Firestone. Federal Heights. Lafayette. Louisville. Longmont. Mead. Niwot. Northglenn. Thornton. Wheatridge, and more. We service all major brands including Rainbird, Toro, Irritrol, Raindial and more. All services provided by the owners Dan and Tim.